It’s New Year’s Eve, and Doctor Conrad Banfield, head of the psychiatric unit at St. Joe’s, knows absolutely that he can’t have fathered a child, because he had a vasectomy. 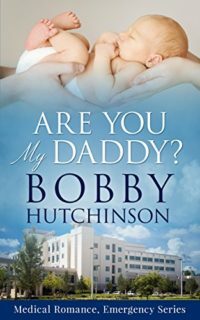 But nurse Abby Martin knows positively that her three-week-old son, Robert, is the result of the passionate one night stand she had with Conrad. ˃˃˃ Now Abby’s clinging to life, and Conrad has to care for their baby. Trouble is, Conrad has no experience with babies, and the psych nurses, who call him Iceman, are not about to rescue him. ˃˃˃ Will Conrad be able to learn about diapers and colic–and love?